Straight from the source, our own students report about what makes our school great! What do you like about our school? 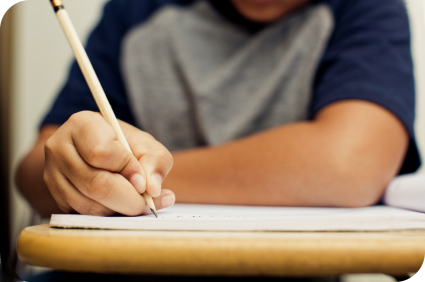 What do you think about literacy support or math support? What do you think about enrichment programs? ​Student reporters and people interviewed each get a raffle ticket! Email Ju.lee@woodridgeptsa.org if your child is interested in being a reported or being interviewed! Students are telling us they like field trips. Money we raised by the Direct Fund Campaign will pay for this! Me: Hello, Mrs. Dillon! I was wondering if I could talk to you for a minute. Mrs. Dillon: Sure. Fire away! Me: So, some classes in Woodridge, including yours, have extra support, right? Mrs. Dillon: Yes, we do indeed. Mrs. Dillon: I think that we are lucky to have extra support because they help each and every student that needs it. Each kid here gets and equal opportunity to learn and grow to be awesome children! Me: Great! So you’ve been teaching here at Woodridge for some time now, right? Mrs. Dillon: Yes, 3 years to be exact. Me: Cool, so what are some things you like about Woodridge? Mrs. Dillon: I think that the community we have here is delightful, and this place seems like a second family! Plus I think the students here are amazing! Me: Fantastic! Thank you for chatting with me, Mrs. Dillon! Me: Today I will be asking you some questions about what you like about Woodridge, okay? Me: So, what do you like about Woodridge’s faculty? Mina: They are all very nice and funny. Everyone helps me in some way. Me: That’s nice. What about the field trips here? Mina: They are very fun and educational. Once, I went to a theater with my class, and it was a very fun treat. Me: Cool. How about the math support? Do the teachers teach you well in that concept? Mina: Yes, they teach us very well. I used to not get decimals, but my other teacher helped me. Me: Good, good. Do you think that the literacy support is helping people? Mina: Yes, the literacy learning is helping us. I have become a much better reader now. Me: Thank you, Mina, for having this interview with me. 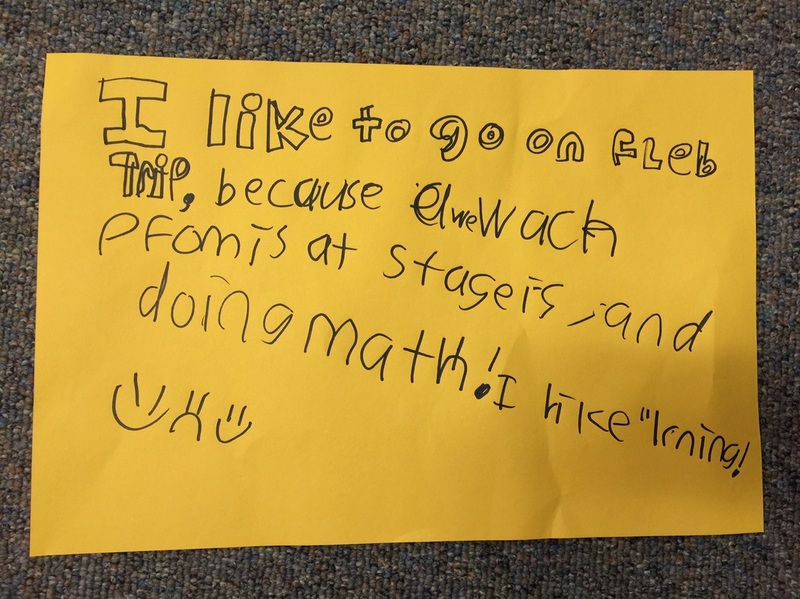 Ely wrote about his recent field trip watching performance and doing math. He likes learning! Taylor likes a lot about Woodridge. The activities are fun and the staff are always kind and welcoming. She likes the teachers very much. They will always give you their best support, and help you when you need them. The students are awesome they care about you if you fall of get hurt. At recess they always include others. Bailey enjoys learning how to construct model bridges in science. She hopes to participate in more exuberating science activities. Her teacher is very helpful in math and literacy. If you need assistance during math time, all you have to do is sit next to her teacher and she will help you. Bailey thinks school field trips are breathtaking. Her favorite field trip was going to the Woodland Park Zoo! Valentina really likes recess and P.E. She enjoys running and is always active. Valentina really appreciates the field trips. She thinks they are really fun! Valentina thinks that the teachers care a lot about the students’ success and are really nice and helpful. Palmer’s favorite subject in school is social studies. He loves learning history and thinks it is very interesting. Palmer enjoys playing baseball. The equipment is very new because the school had just purchased a new one a few years ago, maybe 1-2 years ago.